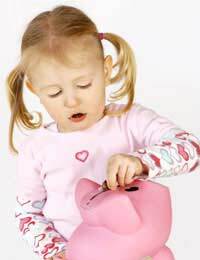 When a Child Trust Fund (CTF) account is opened, the account provider should take responsibility for ensuring that it is well managed. This is particularly true of stakeholder accounts, in which the provider is required to make judgments regarding the performance of the shares that have been bought. There should, however, be some contact between the provider and the representative of the child, as it is important for this individual to keep track of the account as well. During the CTF application process, one individual must be nominated as the ‘registered contact’. This person will take on the responsibility for interacting with the account provider and keeping track of its performance. No other person is able to instruct the provider. Account providers are obliged to send annual statements to the child, but these will be addressed to the registered contact. These should be examined and kept safe, as they give details of every aspect of the account’s performance; they will list contributions made, as well as the comparative value of the account at the beginning of the year and at year-end. Finally, but importantly, these documents will also detail any charges made by the account provider. As the child’s representative, the registered contact assumes a number of responsibilities. In the first instance, they should ensure that they look over the annual statements every year, as they give the best indication of the health of the account. It is also important that the registered contact is aware of the type of account that has been opened, and the nature and identity of the provider. It is perfectly possible to change the account type during the 18 year period in which it is open. As such, the registered contact should be aware of the other options available, and may wish to consider moving providers or changing to a different type of account in order to ensure that the assets are performing as well as possible. It is also vitally important that your provider is kept up to date with any changes to the child or registered contact’s personal information. If either party moves house, the registered contact should get in touch with the Child Benefit Office, who will pass on the new details to the provider. When the child in question reaches the age of 16, the registered contact will no longer be entitled to manage the account. At this point it is vital that the child contacts the provider to inform them that they will be taking on this role. If they fail to do so, the provider will assume that there is no registered contact and will stop sending statements. Once the provider has been informed, however, they will begin to send statements direct to the child. The child will not, however, be permitted to access the money in the account until they reach the age of 18. Keeping track of the CTF account is very important if the child is to get the maximum potential benefit from the money placed in it. The registered contact must therefore ensure that they are aware of the nature of the CTF, and should not be afraid to contact the provider if they are unhappy with the account’s performance. As trustees you should be able to see/request to see what has happened to the children's money over the years. Unfortunately we can't really give individual advice on this and you should contact a financial advisor or an alternative legal professional.